Cheese and garlic, what's not to love?? We were going to be grilling steaks for dinner and I wanted something extra for some fill and flavor, so I decided to go with a biscuit that combines two of my favorite things: cheese and garlic. 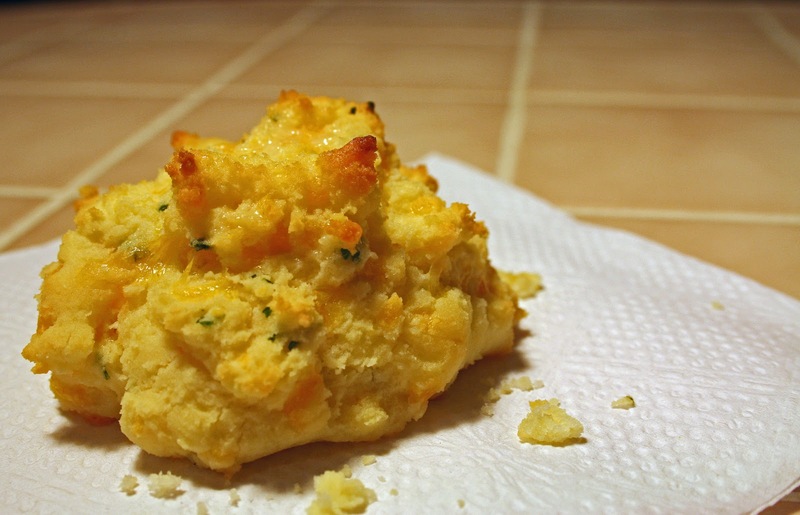 These biscuits were super easy and they turned out very delicious. 1) In a mixing bowl, mix together the Bisquick mix and 1/4 teaspoon garlic powder. Cut in 1/4 cup cold butter until the mix looks like coarse crumbs. Add the milk, cheese, and eggs until a soft dough forms. 2) Drop the dough by 10 mounded spoonfuls onto an ungreased cookie sheet. 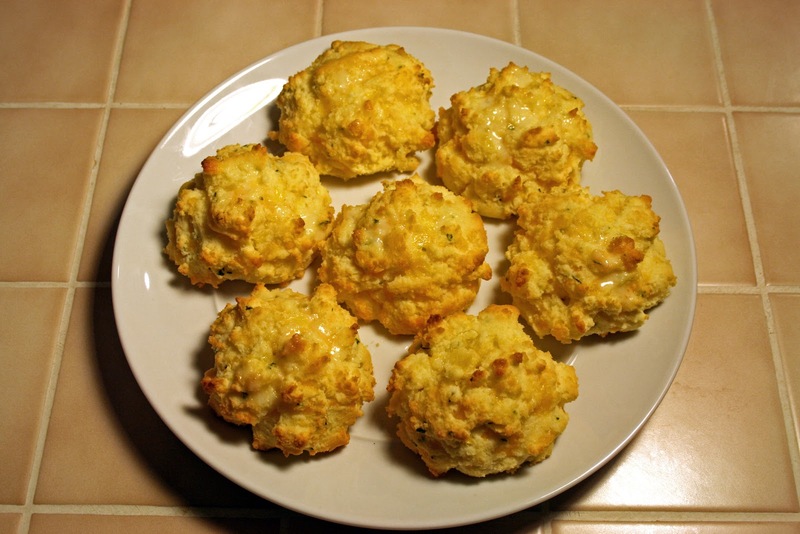 3) Bake for 10-12 minutes or until the tops of the biscuits are a light golden brown. 4) In a small bowl, stir together the melted 1/4 cup butter and 1/4 teaspoon garlic powder; brush on the warm biscuits prior to removing them from the cookie sheet. Recipe Adapted from Betty Crocker's Gluten-Free Cooking cookbook. Oh no! I'm so sorry to hear that! If you followed the rest of the ingredients and the only thing you changed was the baking mix, then it would be my guess that's what caused the lack of flavor. One thing to remember with GF baking is to err on the side of baking for less time to help avoid the food getting dried out. These biscuits are naturally kind of crumbly, so if you want a little more moisture you could add a touch more milk. Let me know if you have any other questions!